As I write this, it has been just a little over 3 weeks since I dropped out of the 2015 Western States 100 at mile 78. I wanted to let things sink in a bit before writing some thoughts about things I learned through the experience; I now feel ready to do so. I’m not looking to provide a recap of the race per se, but instead want to focus on some of the lessons learned. However, to set the context, I’ll provide a brief little overview of the day. 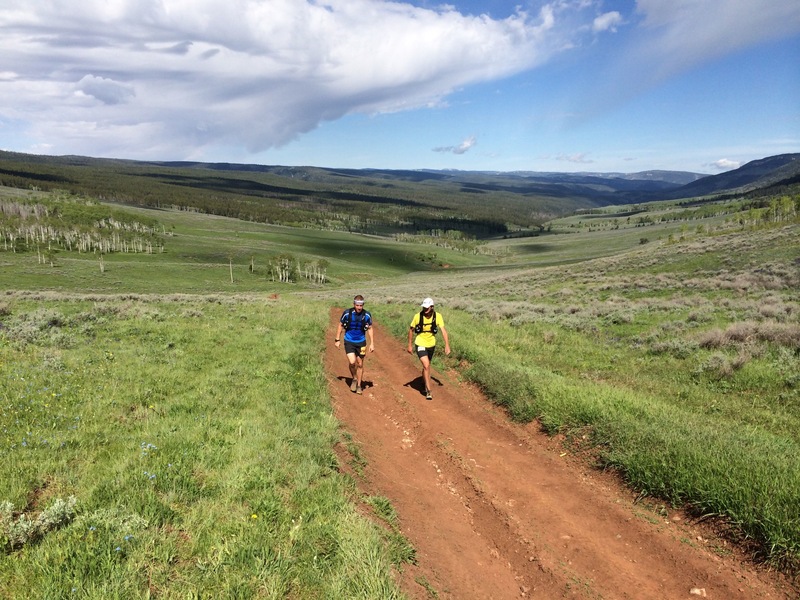 First, the buildup to the race had gone really well physically, especially when compared to my buildup to the Bighorn 100 last year (read my Bighorn race report here). In the 6 weeks of training (before tapering) for Western, all but one week involved 11 hrs or more of running (compared to pre-Bighorn with only 2 of the last 6 weeks of training being 11 hrs+). The final week included running 13 hrs (83 mi) with 14k total of vert, including a 30 mile, 7k ft vert long run at the end of that week (I felt very strong on that one). An additional big difference from last year was that I included at least one uptempo day each week. In my peak week I did a 30′ tempo on Wed at 6:15 pace, which was faster than I had done my tempos leading up to my first Boston Marathon Qualifier (3:03) this February. I then ran the 30 mi long run on Friday, only two days later. I took my ability to do this as a good sign that I was not overtrained volume-wise, and I was feeling fit and confident that my goal of a sub 24 hour Western States was not unrealistic if I executed well on race day. Travel to the Tahoe Lake area went as well as it could for a 10 hour drive in 100+ deg temps with the full family (wife, 3 kids 6 yo and under). Plus, my wife’s youngest sister came along to help with the kids. We camped up at 9000 ft at the Mount Rose campground east of Tahoe on Wednesday night, then enjoyed a fairly relaxed day in Tahoe on Thursday. Friday was a hot, and slightly less relaxed, pre-race day that included check-in and a pre-race meeting. Race morning came quickly with a 3:30ish wake-up to brew some coffee and get to the Olympic Village by 4:30 to check in and be ready for the 5:00 am race start. The rest of the race basically went like this: Warm early morning temps made for only a couple hours before things started to feel pretty hot (as early as mile 16 if I remember correctly). I was already soaking myself in water at Duncan Canyon aid station at mile 24 (and every creek or aid station thereafter), and even ran out of water for 30 minutes from Duncan to Robinson despite taking 1.5 liters with me for a 5 mile section. Running out of water led me to take some extra time at Robinson to get re-hydrated, cooled off, and back on the right track. Regardless of taking the necessary time and steps, I still felt somewhat nauseous for the following 2-3 hours from Robinson, something I’ve never experienced in my running up until that point. I kept drinking tons of water, eating gels nearly every 30 mins, and supplementing the cooling effort with ice in my hat and the back of my inov-8 Race Ultra vest. By the Last Chance aid (mi 43) I felt back on track nutritionally, and no more nausea. However, my legs were feeling much more beat up than I’d hoped at that point. The descent down to Deadwood Canyon was much steeper than I expected, but I really enjoyed it, and caught a handful of people on it. The climb up to Devil’s Thumb, however, was a slog and probably the hottest point in the day for me. I sat in a chair at Devil’s Thumb longer than I care to admit, but eventually made my way out feeling like things were unraveling pretty quickly, and I wasn’t entirely sure why. The descent down to El Dorado Creek (mi 53) went pretty smooth, and things were feeling better on the climb up to Michigan Bluff than they had up to Devil’s Thumb. My spirits were lifted running Bath Rd (mi ~60ish) to Forest Hill (mi 62) with my dad, and I got to see my family in Forest Hill. It had been quite the effort to make it to Forest Hill, but I was feeling good about getting to the smoother terrain on Cal Street (miles 62-78) with my brother. He had been working in Japan temporarily, and flew back just to pace me at Western States. We took off down Cal Street after I changed shoes, and we were moving pretty well for the first 8 miles or so. Unfortunately, the wheels came off hard somewhere around mile 70, and I was literally reduced to a walk for the final 8 miles to the river. I felt that I didn’t have it in me to continue forward in that state. All of my family, as well as the aid station volunteers, were so gracious and encouraging, but I had reached the limit of what I had prepared to handle on that day. I felt significantly more beat up at mile 78 than I did at the end of Bighorn last year. 1. 100 milers are stupid hard! This may be an obvious point, but I think given that I’m relatively inexperienced in long mountain races, and Bighorn (my 1st 100) went so well last year, I assumed that being more fit overall going into Western, it would go just as well (if not better) than Bighorn. I was not even considering a fight to just finish the race. I spent my time and energy in training focusing on being fit enough to run sub 24, and figured I’d still be able to jog things in even if it went poorly. I won’t go into another 100 as unprepared for a really hard day as I was for Western. Chances are it is going to feel very hard at some point regardless of how things are going time-wise, and best to be mentally prepared for everything. 2. Mental preparation for the effort required is more important than physical. I was physically quite fit, but mentally pictured a smooth sailing day till at least Forest Hill, then figured I’d have the ability/fitness to get it done in those last 38 miles. Turned out I was behind pace starting quite early, and the suffering started much sooner than I expected, thus leading to feeling maxed out in my capacity to suffer by the time I staggered into the mile 78 aid. I need to work out my “mental muscle” much more pre-100 with harder buildup races and long runs so that I’m adequately prepared for the effort required on race day. Training and racing leading up to Western had gone well, but I hadn’t suffered much, consequently my mind wasn’t as fit come race day. 3. Goals are great and completely necessary, but I got them in wrong order. I had the goal of a sub 24 hr finish and figured if that didn’t work then surely I’d get it in shortly after 24 hours. In 100 milers especially, I now see the need to prioritize the finish first above everything else (everybody always says that too! ), being prepared to take the full time allotted if necessary. Then, if it goes well, great, but if not, at least you are prepared to do what it takes to finish. Even though I would have been just as disappointed with myself for a finish longer than 24 hours, I had the big realization that my crew/family (especially my wife/kids) would have been much happier with a finish! They could care much less for the time goals and expectations I had, and were more interested in seeing me enjoy the experience and complete the race. There is something very hollow feeling about coming away from a race without finishing when so many people gave up their time and energy to support you. 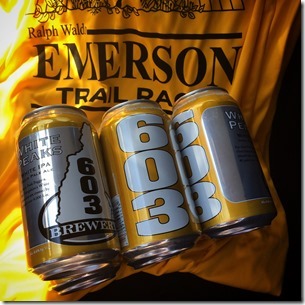 I won’t go to another 100 miler without being prepared to do everything possible to finish (aside from serious injury). I owe it to those who support me to do that, and I can wrestle with the disappointment of not reaching my goals during the recovery after the race. 4. Western States is much more mountainous/difficult than most of the ultra media/race reports portray. This one surprised me, and it would have helped to have had some course knowledge prior to the race. I had heard/read that Western Sates is a faster course compared to other mountain 100s (like Bighorn for ex. ), and it has even been given the nickname of the “Track Meet” by Karl Meltzer in past years. Consequently, I tailored my training and build-up races to include more gradual, runnable grades and faster miles than I had in the past for mountain races. I felt I was actually sacrificing the type of training I prefer (more mountainous) to be better prepared for Western. Turns out, the first 62 miles are pretty dang mountainous and rough, just as much or more so than Bighorn or many other mountain races I’ve run. The first 30 miles is at an average of 7500 ft elevation, and is quite rocky, which didn’t allow for a flowing stride for much of it. Then the heat really kicks in and never lets up, even at night (whereas at Bighorn it was 85 in the day, which at 8000 ft felt pretty hot like Western, it dropped to 45-50 deg at night…due to the downhill nature of Western, it was still 80+ at 2 am when I dropped). 5. The canyons are for real! They were some of the most inhospitable terrain I’ve ever run in, and were truly one of the highlights of the day as in “I can’t believe I’m running down into this desolate canyon in 90+ degree heat after having run 45 tough miles.” Most of us would never subject ourselves to those conditions in any other circumstance! Going forward, I’d never describe Western as a faster race, even though the front guys run it ridiculously fast. I’d describe it as a mountainous 100k followed by 38 smoother miles that you hope you can still run when you get to them. Unless you are Rob Krar or the few other folks near the front, you are not going to be moving super quick come Cal Street. 6. Prioritize staying positive and joyful for as long as possible. I never got super negative, and I tried to encourage all the runners I came across. I thanked all the aid station folks that I could, but I also didn’t do enough to keep the positivity as high as possible. I went into slog mode too early, and stayed there too long! Because 100s are so long, and our human capacity to endure (while significantly greater than we think) is limited, it is critical to stay positive and enjoy the race as long as possible because it will eventually extract a small piece of your soul by the end :)! One common theme you see in successful 100 mile runners from all spectrums of finish times is an almost delusional positivity throughout their racing and running despite the ridiculously difficult nature of the tasks involved. I believe this is critical to success in these long events, especially if one wants to do them on a sustainable level for any length of time. Thanks for reading. I’m planning on taking a redemptive crack at another 100 miler in September at the IMTUF 100 in Idaho and hopefully I’ve have taken my own advice to heart by then! Nice write up and great effort. Just wondering if you checked you weight anytime during the event? As you seemed to be taking on a lot of water/food? Excellent write up, and great work! I think it’s really good that you have gleaned some wisdom from this rather than just chalking it up as a “failure”. This has actually really inspired me to consider a 100 miler someday. David, thanks for the candid and reflective article in your DNF. I believe that you would come back even stronger after this experience and look forward to reading about your next race! That picture with you running with your kids….priceless! Thanks for your candid post-race reflections shared here. I just started running 50-milers this year and am looking now to trying 100s, and so I enjoy all I can read from those who’ve done it. You’re right: so much of the media, from the press to the blogosphere, portray WS as something that is harder to get into than to run. I appreciate how you bust that myth. Running long distance is a funny thing. Just when you think you figured out what you were meant to learn from your last race, the sport has a new lesson for you that you didn’t see coming. Thanks for sharing yours. Enjoy the training for Idaho and good luck! 100 Miler is insane! I can’t even imagine. I will be running my first marathon this fall at TwinCities and we have been working on some similar training and really focusing hard on fueling! However, you hit the nail on the head with #2 Mental prep is key! If you can prepare your mind, body will follow! I wrote a blog about my Peachtree race this year when I was struggling with exhaustion before the gun even went off. Here it is… link to cgravesrun.com Preparing for the pain and knowing you can get through it is what it’s all about! Good luck with your races and training moving forward!